Our celebrity panel is very distinguished and we are immensely grateful that they are prepared to give their time to help this competition be a success. Ade Adepitan is Britain's inspirational wheelchair basketball player. Childhood polio forced him into a wheelchair but once he discovered wheelchair basketball his burning ambition was to win gold for his country. In the 2002 and 2005 European Championship he won bronze and silver. At the Athens 2004 Paralympics as Captain of the GB team he sunk the winning shot to win bronze. He finally fulfilled his ambition of winning gold by again producing the winning shot at the 2005 world Championship. Now a television presenter he covered London's 2012 Paralympics for Channel 4 to wide acclaim endearing himself to the public with his knowledge, his charm - and those dreadlocks! 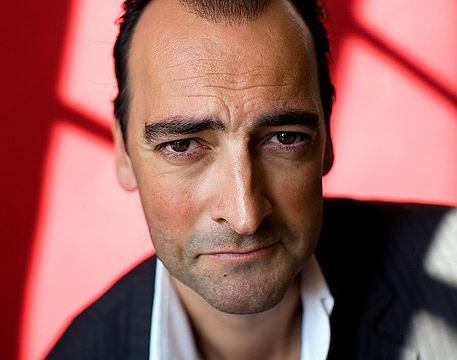 Alistair McGowan is a man of many parts: an impressionist, stand-up comedian, actor, singer and writer. His series 'The Big Impression' was for years the BBC'c top rated comedy programme winning a BAFTA award in 2003. He is an acclaimed actor winning a nomination for an Olivier award for his role in 'Little Shop of Horrors' and his play 'Timing' won the whatsonstage.com award for Best New Comedy. In 2013 he wowed audiences with a stand up show with Eddie Izzard, performed entirely in French! He's mad about sport so you'll catch him regularly on 'A Question of Sport' and Radio 5 Live's Wimbledon commentary team. Film Producer Jill Green is an outstanding independent producer specialising in high concept, high quality film and TV projects. Notably she produced the UK's largest viewed event drama 'Collision' and the BAFTA award winning 'Foyle's War'. She is currently producing a feature film 'Miss Garnet's Angel'.